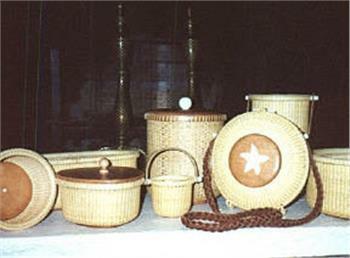 This is a selection of the more unique styles of Nantucket Baskets, like the Nantucket Ice Bucket or Nantucket Birdhouse. 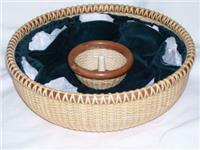 We offer specialty Nantucket Baskets in a variety of styles, shapes, and sizes. 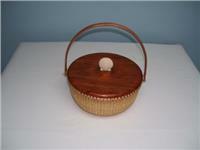 Each handmade basket is an authentic, original piece of craftsmanship that is both decorative and functional. 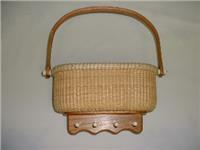 Our handmade Nantucket Lightship Baskets are works of art that are durable and practical. Every Authentic Nantucket basket is hand woven using rattan or cane, and supported by cherry wood molds and bases, so you can always be assured of its sturdy design from top to bottom. 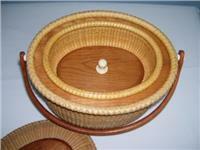 Any of these specialty baskets would make a lovely addition to your collection. Do you have a special friend or relative that is hard to shop for? Because each specialty basket is a handmade original, we are happy to work with you to create the unique, special basket that you are looking for. Feel free to contact us with any questions you may have. 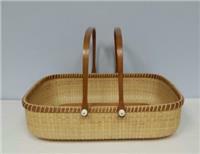 The high-quality craftsmanship of our handmade baskets and gift items is guaranteed, and can only be found here at Nantucket Basketworks of Cape Cod.